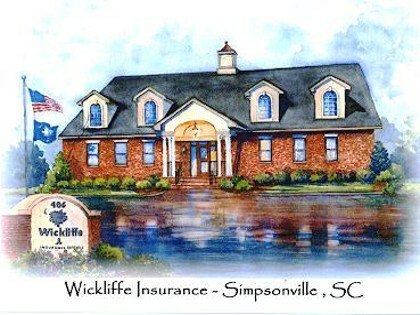 As a family-owned and operated insurance agency in Simpsonville, South Carolina since 1990, Wickliffe Insurance Services is committed to providing quality insurance products for individuals and businesses. We combine our strong insurance background and product knowledge to assist both current and future clients manage and plan for all types of potential risk. Our team of knowledgeable insurance professionals is experienced in creating personal and commercial insurance policies designed to fit your needs. With Wickliffe Insurance Services, our friendly staff will work with you on a one-on-one basis to develop not only the perfect policy, but a lasting relationship. We strive to make every interaction with our clients as stress-free and easy as possible. So, whether you’re checking in on a simple car insurance policy, or insuring a niche business, we’ll be there to help. When you work with Wickliffe Insurance Services, you’ll experience the exceptional service and attention to detail that you can only find with an independent insurance agency. Stop on by, call, or request a quote online today! Proudly serving upstate South Carolina.